MBC pressure switches are used in industry and marine applications where space and reliability are the most important features. 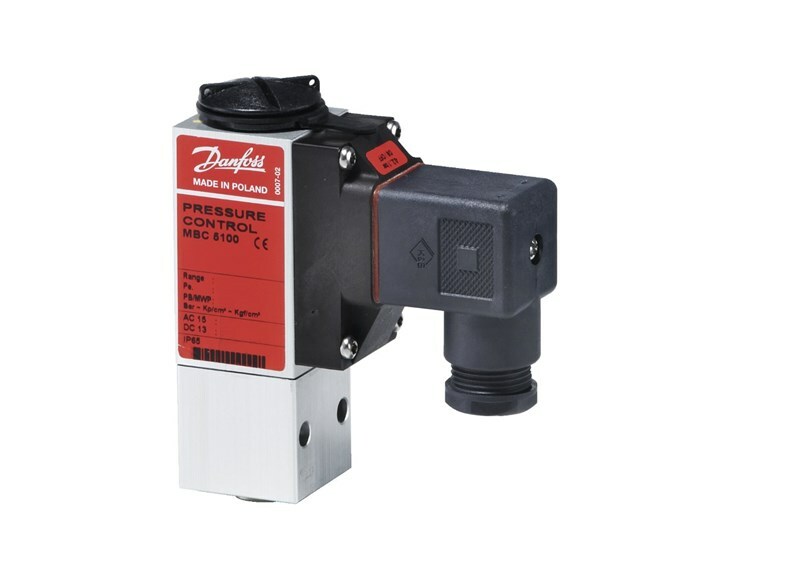 MBCs are compact pressure switches, designed according to Danfoss’ new block design to survive in the harsh conditions known from machine rooms on-board ships. MBCs have high vibration resistance and feature all commonly marine approvals. The fixed, but low differential guarantees accurate monitoring of critical pressures. MBV test valves can be delivered as standard option for the MBC pressure switches. Pressure ranges: -0.2 to 400bar. Low differential (fixed) micro switch. Resistant to shock and vibrations. Diaphragm version for applications with pulsations/pressure peaks. Easy to mount on block test valve. Available as differential pressure switch.